Recipient of the 1976 Nobel Memorial Prize in Economic Sciences, Milton Friedman has long been recognized as one of our most important economic thinkers and a leader of the Chicago school of monetary economics. A senior research fellow at the Hoover Institution since 1977, he is also the Paul Snowden Russell Distinguished Service Professor Emeritus of Economics at the University of Chicago, where he taught from 1946 to 1976. He is the author of many books and articles in economics, including A Theory of the Consumption Function; The Optimum Quantity of Money and Other Essays; A Monetary History of the United States (with A. J. Schwartz); Monetary Statistics of the United States; and Monetary Trends in the United States and the United Kingdom. 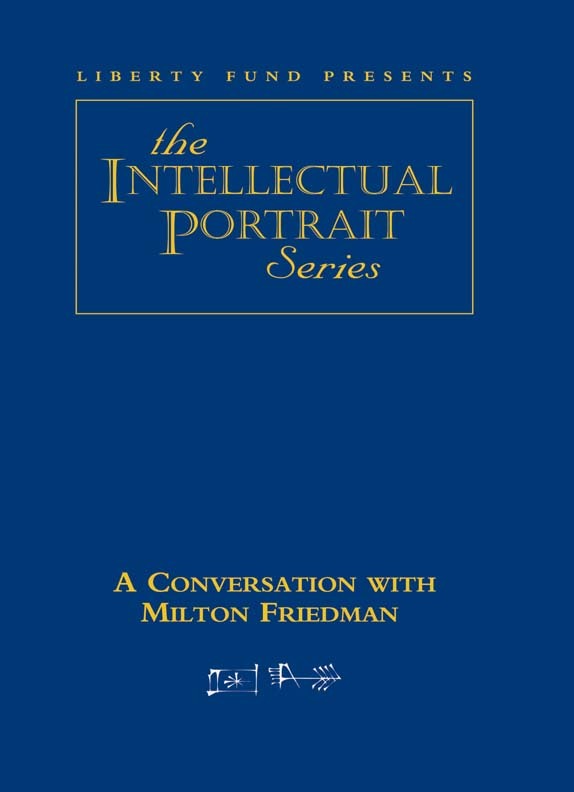 Friedman has also written extensively on public policy, always with a primary emphasis on the preservation and extension of individual freedom. His most important books in this field are Capitalism and Freedom (with Rose D. Friedman, University of Chicago Press, 1962); Bright Promises, Dismal Performance (Thomas Horton and Daughters, 1983), which consists mostly of reprints of columns he wrote for Newsweek from 1966 to 1983; Free to Choose (with Rose D. Friedman, Harcourt Brace Jovanovich, 1980); and Tyranny of the Status Quo (with Rose D. Friedman, Harcourt Brace Jovanovich, 1984). Friedman was awarded the Presidential Medal of Freedom in 1988 and received the National Medal of Science the same year. DVD. © 2003. 73 minutes.